This inchworm isn't just an inchworm. 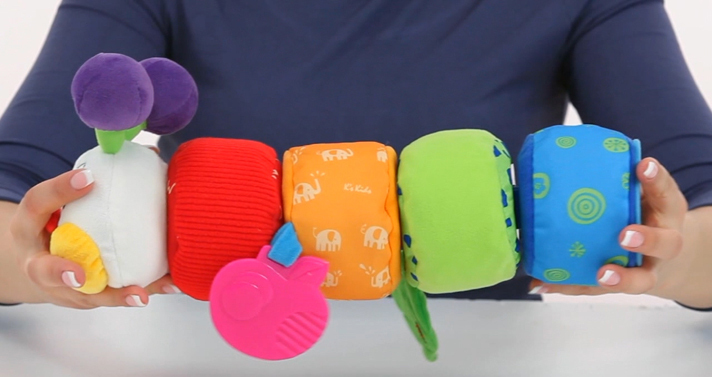 It's also a shape sorter that comes with a teether, mirror, rattle, squeaker, and crinkle paper. 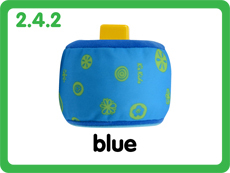 Children can train their fine motor skills by snapping the right shapes together. 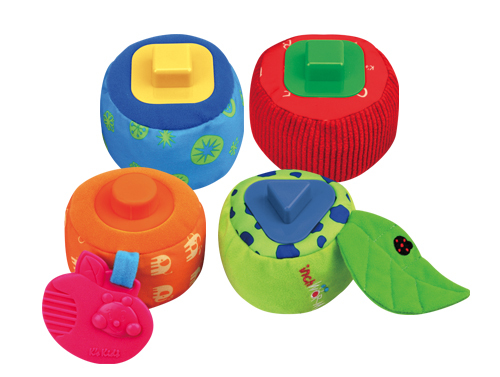 The soft body parts are perfect for squeezing, throwing and rolling across the floor. 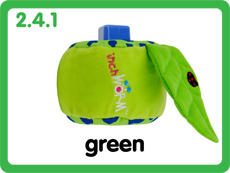 Method: Parents should squeeze the inchworm's body, making crinkling sounds, to the right and left side of the child's head. 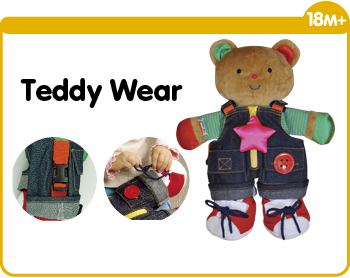 Parents should see if the child moves her head or gaze to follow the crinkling sounds. Method: Parents can encourage children to touch and feel the different textures of the inchworm and to chew on the apple teether. Method: Parents can encourage children to squeeze the inchworm (with both their right and left hands) to make crinkling sounds. Method: Parents can encourage children to shake the inchworm's head (with both their right and left hands) to make rattling sounds. 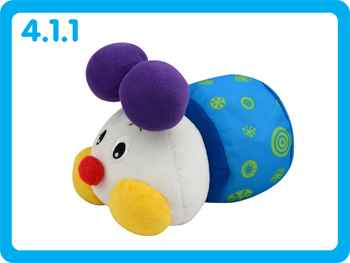 Children can also practice rolling the inchworm's body pieces across the floor like a wheel. 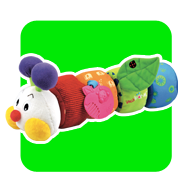 Method: Parents can use the inchworm as a teaching aid to teach children to recognize things such as the head, eyes, nose, apple, leaf, mirror and ladybug etc. 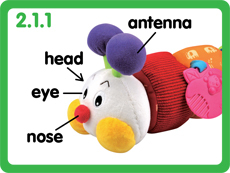 Method: As parents say out loud specific facial features, such as “head”, “eyes”, “nose”, and “mouth”, they can encourage children to point to the corresponding facial feature on the inchworm's head. Method: Parents can hold the mirror (on the blue inchworm piece) up to their child's face so she can observe and recognize her own image in the mirror. 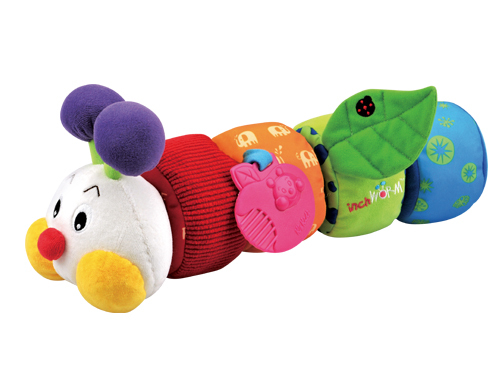 Method: Parents can use the inchworm to teach children to recognize colors such as red, yellow, blue, green etc. 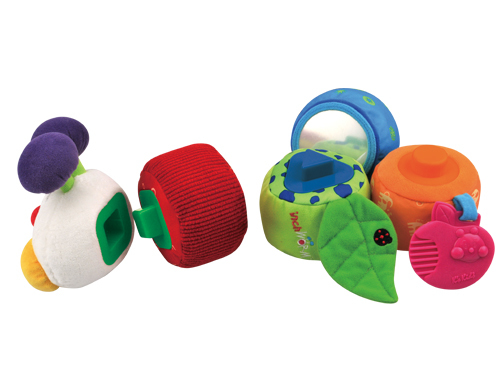 Method: Parents can use the plastic connecting parts of the inchworm to teach children to recognize shapes such as circles, triangles and squares etc. 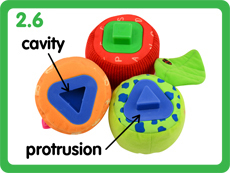 Method: Parents can use the linking sections of the inchworm pieces to teach children to differentiate between a protrusion and a cavity. 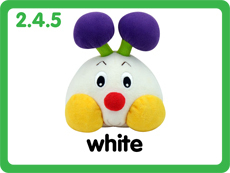 Method: Parents can name a body part or object, then encourage the child to point to it on the toy. 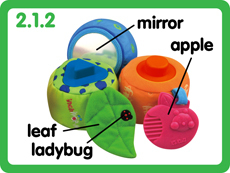 Some words that can be taught are: apple, leaf, mirror and ladybug etc. 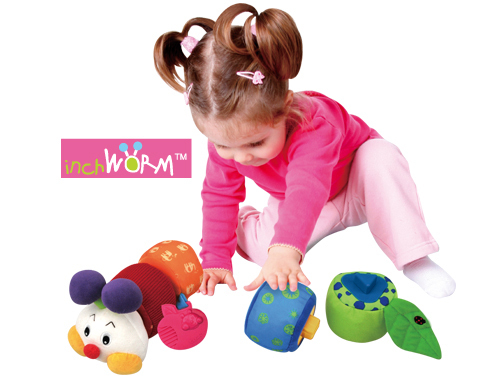 Method: Parents should disassemble the inchworm and place the pieces on the floor in front of them. 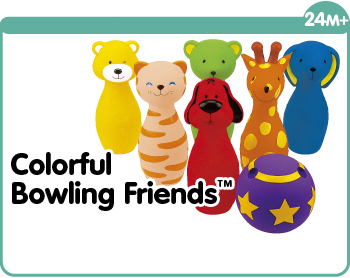 They should then name a color or shape and ask the child to hand them the correct piece. 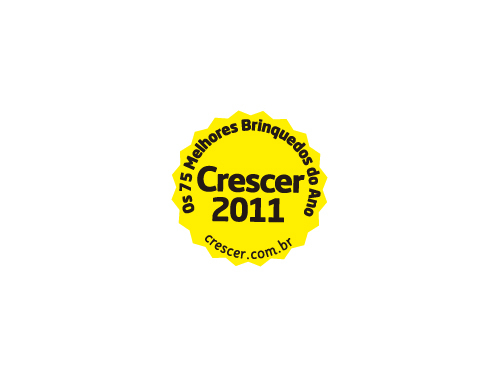 Method: Parents should let the child practice fitting the two square pieces together. Then repeat with the two circle parts and two triangle parts. 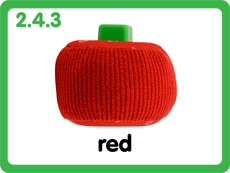 Method: Using concepts learn from activity 2.5 and 2.6, children should assemble and stack the inchworm by matching shapes. 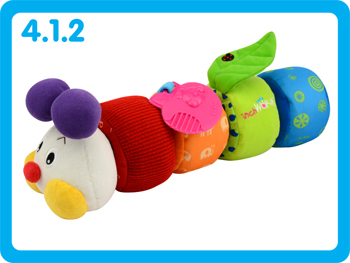 Method: Parents can place one inchworm piece under a small blanket. 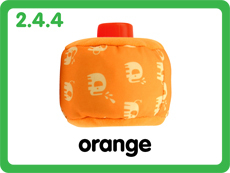 Allow the child to reach under the blanket to touch the piece, then guess what shape it is.